I am a personal trainer and running coach. I share my faith as part of my mission for this page. The logo says it all: Heart for being heart healthy, physical and nutrition. The cross for training your faith, and treating your body as the temple God designed it to be. I always say to my clients, "If Jesus arrived at your door, would you hand him a bag of Doritos and a Coke?? NO! You will give him the most nutrient dense food possible.....so why don't you do the same for yourself??" You deserve the best for your body and you need to respect your body and love your body and be thankful for all that it does for you. If you want to get the most out of it, you need to train it and nourish it with healthy foods, water, and rest. Those are my goals for this website, I hope you find it helpful and inspires you to reach for more out of your life too! You can do it! Believe in yourself and make little changes each day. Don't forget to look how far you have come and celebrate your accomplishments! Cross My Heart Fitness is owned by Jody Stoops who is dedicated to improving the lives of her clients through nutritional, spiritual, and physical training. I got started as a personal trainer after having been athletic my entire life! Finally at age 41, I decided to start my own business to help other others get healthy and fit. My mission was to teach them how to eat and respect their bodies as the temple the Lord had designed them to be. To be thankful for their bodies and nourish them with the cleanest and purest foods possible. This is how the Lord would have us treat our bodies. Also to exercise and to use our bodies in a way as to lengthen our time here on earth! My logo says it all: the heart is to teach heart health, since heart disease is the #1 killer for women, and the cross is for faith and treating our bodies as temples not a wasteland. I have been training clients for 3 years and also started running marathon in 2009. 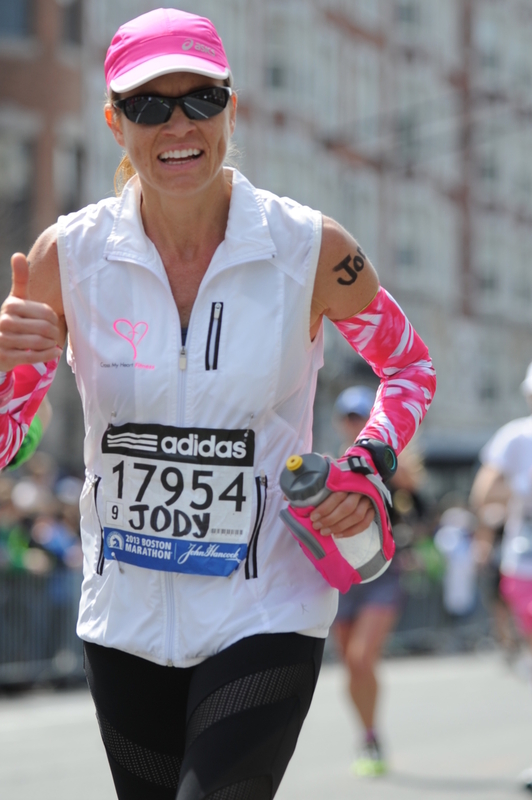 I just completed the Boston Marathon on April 15, 2013 which was also my 10th full marathon. 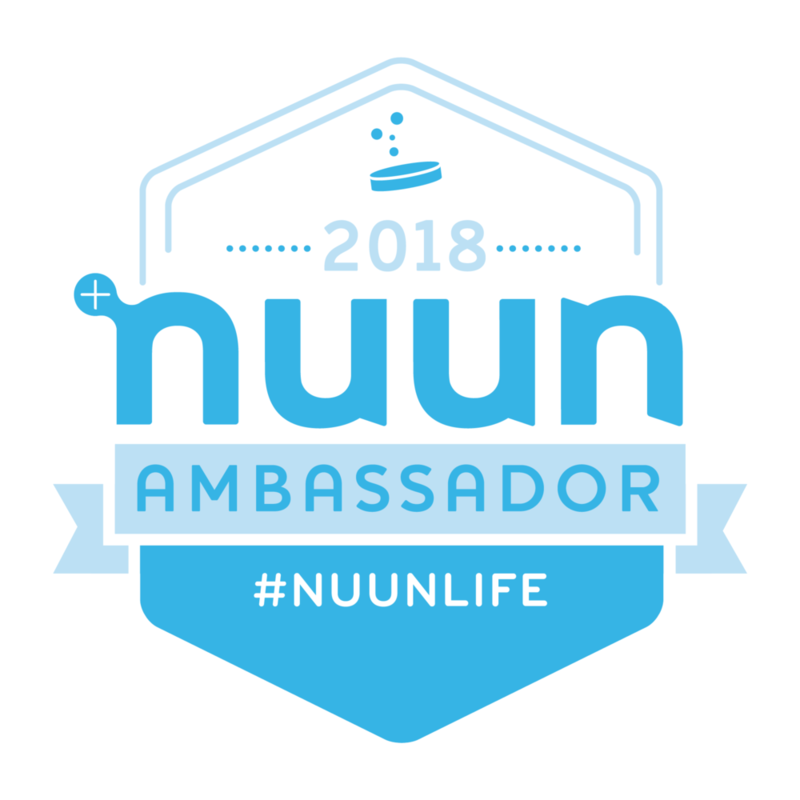 I love helping others get healthy, fit and learn to run! Coaching others to reach their goals is so rewarding! A lot of my training, those long runs especially, is where I also am guided by my faith. I dedicate each mile to a different person and pray for them during their mile. I know if I don't get my training in each day, I just don't feel right. I need my daily dose of endorphins to "run" smoothly as a wife and mother too! I have had to make a conscious effort each day to add in my marathon training. I work it around my family priorities. But I always find a way to fit it in. Thankfully, I have a very supportive husband, otherwise I wouldn't be able to do it. I also schedule my clients (personal training) around my kids schedules. I make a schedule every week and fit it in. I think you need to keep your family and God first, then you can schedule your fitness. When the kids nap, you can put in an exercise video. I used to workout every morning before my little kids got up. Now since they are older, I can fit it in more often. Once you start seeing results, you won't want to quit and you will make your exercise and food prep a priority and a habit. You have to remember, you are modeling behavior of your kids. If you want them to grow up and be healthy and fit, then you must model that for them. Include the kids in grocery trips, teaching them how to shop for produce and not just processed foods. Share the meal prep with the kids, have them wash up the veggies and put them in baggies or containers. Kids love to help mom in the kitchen! Make them workout out with you or go to the park and jog around and kick the soccer ball with the kids. It can be a family affair! For mom's that say they don't have time, then they need to look at where they are spending their time. If they have time to watch their favorite TV Show or spend hours on Facebook, then they can carve out just 20 minutes a day to exercise. you find a way to do the things you love and you should love yourself enough to be healthy and fit and happy! You will naturally have more energy once you start exercising and eating right. Getting plenty of rest each night and lots of water do wonders for the body. You actually will feel better, have more energy then you do just sitting around all day. Get up and get the body moving. You can do this, Believe in yourself and love yourself! You deserve it! One way to start is by giving up one unhealthy food: soda! if you can cut he sugary beverages, then you are on your way to kicking the sugar habit all together. You will be shocked to see how much energy you have once you give it up. Remember to start out slowly, so you can manage it. Then continue to cut out other processed foods until you find yourself no longer craving them. You crave what you eat, so if you start eating more healthy foods, you will start to crave them!